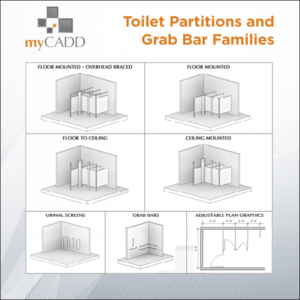 Base and upper cabinet families are “stretchable” so you can place long sections without having to worry about detailed design. 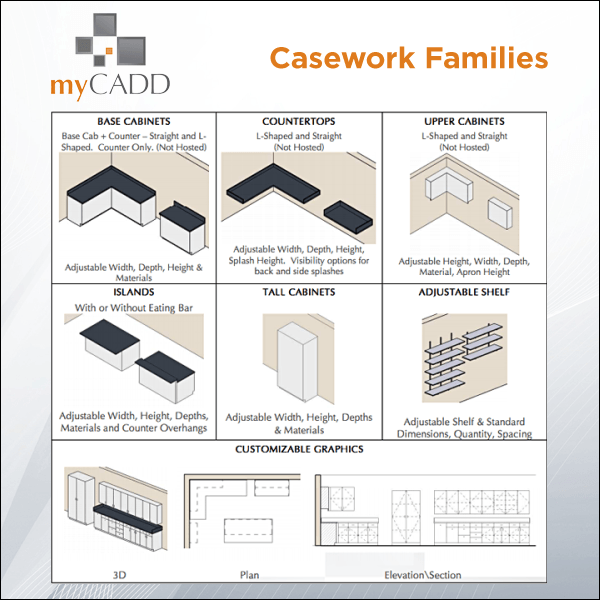 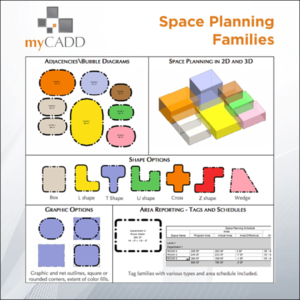 The myCADD Casework library for Revit was designed for use from Schematic Design through CD. 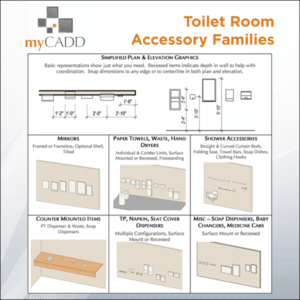 The base and upper cabinet families are “stretchable” so you can place long sections without having to worry about detailed design. 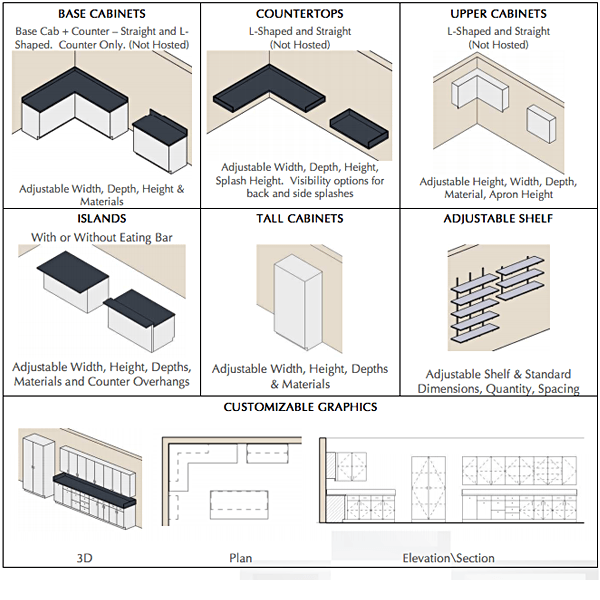 When you are ready to do the detailed designed you simply place the detailed “Cabinet Front” families over the base you created previously. 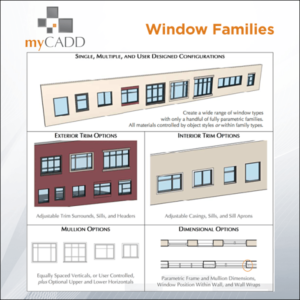 Download the Family Overview PDF.